This has been a safe queen since I received the USP Match. I swapped it out for a Euro hard case. It is like new with no paint chip on the YKK zipper pulls or any print residue on the inside clear plastic document sleeve. Photos clearly depict the condition of this rare case. This case was part of the USP packages Hk sold in the late 90s and early 2000s. 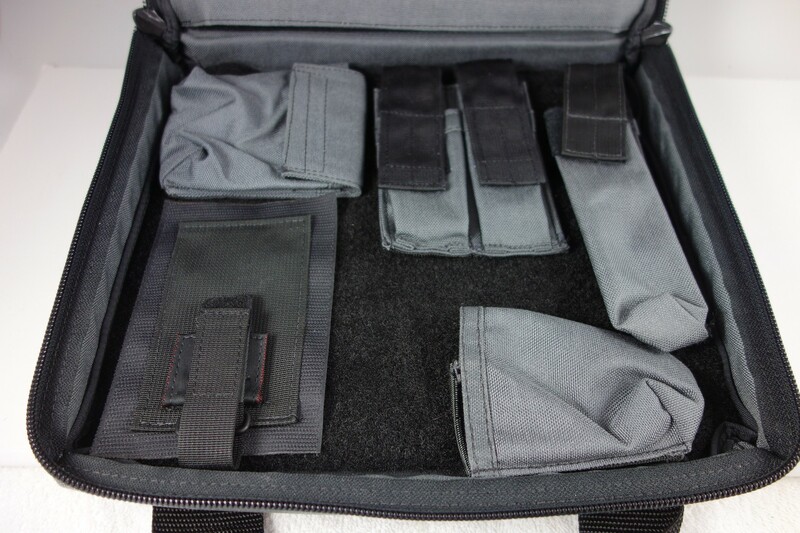 Complete with: pistol case, muzzle pouch, grip tie down, duel magazine pouch and accessory pouch. All are velco’d, so arrangement is limitless. PAYMENT: USPS Money Order or the following Credit Cards: Discover, MasterCard or Visa. NOTE: There is a 3% CC surcharge if you choose to use a credit card. SHIPPING: USPS Priority Mail with tracking. Shipping insurance is not included.